Combine all Spicy Seasoned Garlic Sea Salt ingredients and mix well. Fill a pint glass with ice and rim with Spicy Seasoned Garlic Sea Salt. 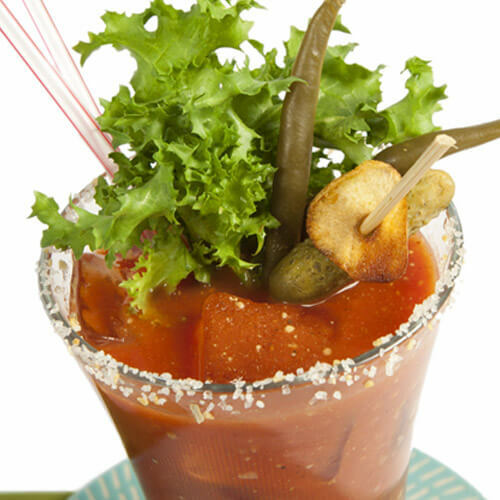 Combine all Bloody Mary ingredients into mixing glass. "Roll" ingredients back and forth from mixing glass to shaker several times; mix well. Pour into ice-filled, salt-rimmed pint glass. Garnish with chicory leaf, a cornichon and TABASCO® Spicy Beans.